North Wales timber company save children’s vegetables from ravenous rabbits | News by Wales Express News, People Before Profit! Green-fingered primary school pupils have had their prize fruit and veg saved from ravenous rabbits thanks to a local timber company. came to the rescue when Llanbedr DC Primary School appealed for help against the bad news bunnies eating their crops. Now the children can look forward to enjoying the fruits of their labours which are destined for the school kitchen to be made into healthy school dinners. 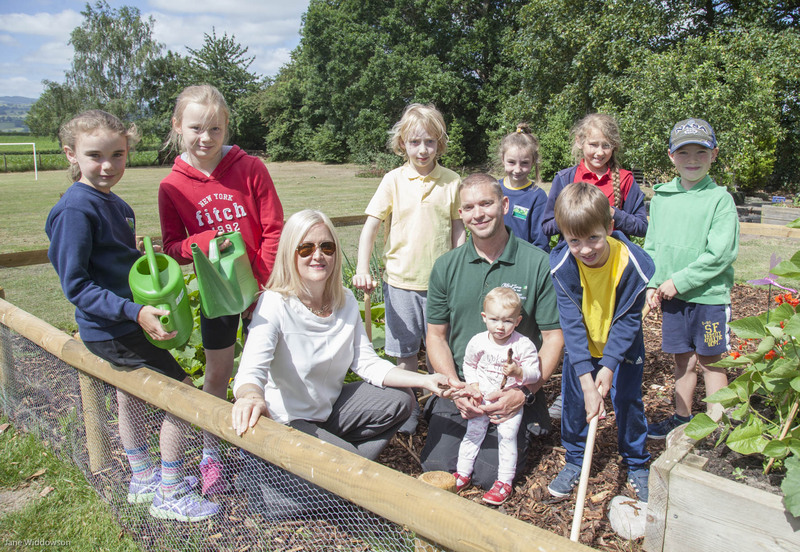 Teacher Jaine Heginbotham said: “We needed a secure vegetable patch and we needed it to be more obviously a garden area so it needed fencing off. Parent Michael Beaumont, Production Supervisor with Clifford Jones Timber in Ruthin, the UK’s largest producer of fence posts, came up with the answer. He got to work with the school and they now have a neatly-fenced vegetable patch with a healthy crop of potatoes, courgettes, pumpkins, sprouts, onions, runner beans and raspberries. They’re all grown from seed by the school’s Eco Squad as Jaine explained: “The children have to apply to join the squad and are voted on. Sarah Jones Smith, Commercial Director of family firm Clifford Jones Timber, said: “We were delighted to help out and the garden the children have created is lovely. Clifford Jones Timber process over 100,000 tons of timber a year from sustainable forests in the UK and as well as to Llanbedr School they ship their fence posts as far afield as the Falkland Islands while other clients for their products have included Alan Titchmarsh’s Love Your Garden programme on ITV, Center Parcs, a luxury treehouse builder, award-winning vineyards and a deck-chair company.